The title “university professor” designates a tenured professor of extraordinary scholarly breadth, depth, and achievement to whom at least two departments have indicated a willingness to offer voting membership. The university professor is expected to teach and undertake research but isfree to choose the structure that the teaching and scholarship will assume. Faculty legislation, endorsed by the Board of Trustees in 1951, sets forth procedures for naming a university professor that requires the presiden appoint a search committee. The search committee, chaired by the provost, recommends nominations to the president, who, in turn, recommends a candidate for the Board of Trustees’ final approval. Inquiries concerning the use of this title and the consideration of individuals for appointment to this rank should be referred to the Office of the Provost. The professor-at-large title is reserved for specially defined uses. 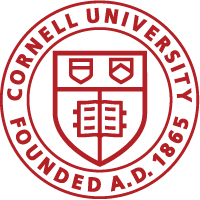 The Andrew D. White Professors-at-Large Program has the purpose of attracting to Cornell, as full-fledged voting members of the University Faculty while in residence, “those individuals who have achieved outstanding international distinction in the humanities, the natural or social sciences, or the learned professions, or have achieved such distinction and have demonstrated broad intellectual interests through their activity in such fields as public affairs, literature, or the creative arts.” The program is the modern version of one that originated with President Andrew D. White early in Cornell’s history. The Board of Trustees reinstituted the program in 1965. Professors-at-large are elected by the Board of Trustees upon the recommendation of the president for up to six years and may be renewable. The procedures for selection and nomination by the president are controlled by legislation of the Faculty Senate. For more information, see the program website. The title “university professor” reflects a salaried position that is subject to affirmative action regulations. A separate procedure exists for selecting a university professor at the Weill Cornell Medical College. Established in 1986, appointments to the professorship are known as the Walsh McDermott University Professorship of Medicine.